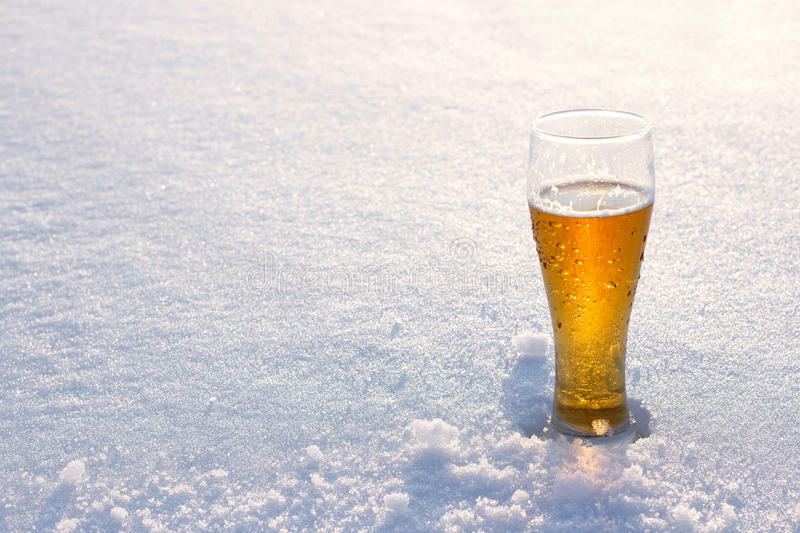 So March begins with a blanket of deep snow, unrelenting Siberian temperatures and enough wind chill to allow Iceland to turn all their freezers off and save a bit of electricity. Just last week we were talking about seeing the first shoots of daffodils and feeling a bit of warmth in the sun, it felt like Spring wasn’t far away, but now it feels more distant than Leeds United in an FA Cup Final. Our last blog post was written during the short interim period between Thomas Christiansen being sacked as Leeds United boss and Paul Heckingbottom being appointed. So first and foremost we’d like to welcome our new manager to Elland Road and extend the traditional invitation to incoming appointments at the club. Hecky is welcome to pop over for a pint any time he likes, and without pandering to stereotypes too much we’d wager he is more partial to a nice pint of ale than his predecessor, indeed he may even have sampled the odd Yorkshire Blonde in his time already. 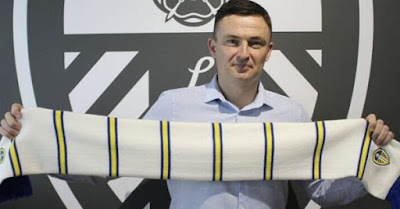 Off the pitch we have seen Leeds manage to steady the ship after the badge-gate fiasco and the appointment of Heckingbottom appears to be a shrewd one. We have noted some pleasant characteristics in his gritty and down-to-earth demeanour and have already drawn some favourable comparisons with our last manager from South Yorkshire, Howard Wilkinson. It would be wrong to heap too much pressure on our new man though, and the game has changed so much since Wilko took over the reins in 1988, but certainly it would do Heckingbottom no harm at all to follow a similar blueprint to success, and of course we wish him all the luck in the world. Initial results are slowly picking up, but it’s as much about the attitude and organisation and we have seen some promising improvements in that regard already. One defeat in four games in charge is definitely a positive, and with a bit more luck and without some silly mistakes at the back, we could have been looking at a very fruitful return from Hecky’s first few games. We saw three home games in February and despite not winning since Boxing Day, there was no let-up in the big crowds flocking down to Elland Road and packing out the Old Peacock. It’s fair to say that results improved dramatically over the course of those three games. They started with a traumatic 4-1 defeat to Cardiff, which was the result that signalled the end for Christiansen and was made all the worse for seeing Neil Warnock’s gloating face afterwards. Next came the strange circumstances of the late Sunday afternoon Kick-Off against Bristol City, and it was a pretty extraordinary day all round. A couple of defensive blunders and it looked all over, but a stirring second half turned it around and we actually left the ground gutted that Leeds hadn’t won. It was the same feeling in midweek after a second consecutive 2-2 draw, this time away at Derby, but then Hecky finally saw his first win as Leeds boss with the 1-0 defeat of Brentford. We are confident now that the team will continue to improve, and while we might not always get the results we want, it looks like a standard has been set and this new man will get a certain level of performance from the team, and that’s all we ask. Whether that will be enough to maintain a charge for the Play-Offs remains to be seen. The tough run of fixtures continues into March, and the next opponents at Elland Road are Wolverhampton Wanderers, who have been tearing up the division pretty much all season. That’s a midweek contest on Wednesday 7th, but then we have a couple of more presentable home fixtures with the visit of Sheffield Wednesday on Saturday 17th and then Bolton Wanderers on Good Friday, which is March 30th. Yes, that means it’s nearly Easter, and while a quick glance out of the window might cast some doubt over that, it does mean that the end of the season is once again upon us. Believe it or not. It’s been a very strange season in many ways, the crowds we have seen at the Old Peacock on matchdays have been unprecedented, and yet there has been so much frustration and disappointment about results, and in some ways, the season has never really got going, despite such a brilliant start. Before the end of March we will also be welcoming the Leeds Rhinos fans back to the pub. They entertained Hull Kingston Rovers on a very damp Thursday night early in February, but on March 23rd they welcome Castleford Tigers for a mouth-watering re-match of last year’s Grand Final at Old Trafford. It was great to see some different faces in the pub and there was a very lively atmosphere pre-match, which we expect to see again for the local derby against Cas. These are quite unique fixtures, while the Rhinos’ Headingley home is redeveloped, and we are more than happy to put the welcome mat out for our cross-city friends. 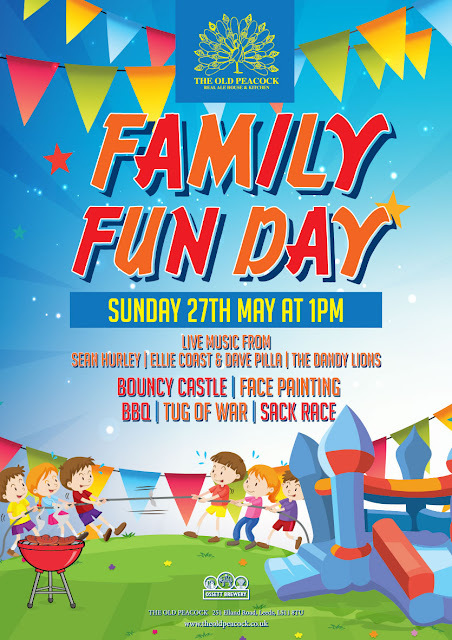 In closing, just a short note about our Family Fun Day, which is returning for Bank Holiday weekend, Sunday May 27th from 1pm. This has proved to be a great success over the years, with special barbecue food, a bouncy castle, face-painting, tug of war and a sack race for the kids, and with three bands playing live music in the beer garden. It has always attracted a great range of family and friends and we hope to see you all there again on May 27th. Meanwhile, we hope you enjoy the weather and a few snow days off work, and keep dreaming of those sunny days in the Peacock beer garden, they will be here before you know it.